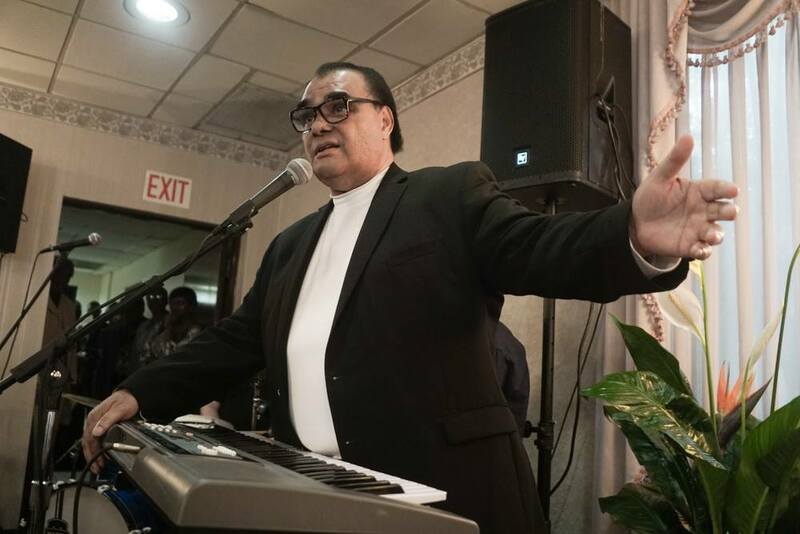 Timmy Thomas who serenaded the world in 1973 with his million-selling smash "Why Can't We Live Together," has conquered the world again. Thanks to Drake's beyond-obvious sample of "Why Can't We Live Together" in his monster worldwide hit "Hotline Bling," the world is dancing yet again to Timmy Thomas' groove. Like fellow Soul Man Isaac Hayes, Timmy got his professional start in Memphis, Tennessee as a session player. Starting as a 18-year old college freshman at Lane College, Timmy laid down keyboards for sessions at Sun and Stax Studios in Memphis and FAME studios in Muscle Shoals. Timmy parlayed his session work into live gigs as a sideman for R&B legends The Mar-Keys and as full member of Gold Wax recording artist Phillip And The Faithfuls. After dropping a few records with P&TF, Timmy struck out on his own as a solo artist and relocated to Miami's red hot soul scene. While running a nightclub by night and working at a university by day, Timmy turned his reaction to Walter Cronkite's Vietnam body count into a soulful plea for tolerance. "Why Can't We Live Together" took Timmy's one man soul band to 38 countries. Timmy was the first American recording artist to play Apartheid-controlled South Africa. Timmy and his message made such an impact that he came back twice: to headline South Africa's first non racial concert and 20 years later at Nelson Mandela's Presidential Inauguration. Timmy's post smash hit life found him with a run of charting R&B hits including 1984's "Got to Get A Little Love" and 1985's duet with Nicole McCloud "New York Eyes." The 80s and 90s found Timmy earning a gold record in Malaysia for "Dying Inside To Hold You" and working as an executive for La Face Records and a public school music teacher. Timmy remained much in demand as an organist, most notably earning a gold record for Joss Stone's "The Soul Sessions" in 2003. In August 2015, Timmy signed with Miami Soul label Overtown Records. Two days later he found out Drake had sampled "Why Can't We Live Together" and was climbing the charts at home in the US and around the Globe. The sudden recognition and following media frenzy relaunched Timmy Thomas before he had a chance to record one new note with his still-powerful voice. NPR profiled Timmy and testified to his classic hit's staying power and relevance in 2015: "Timmy's song resonates now more than ever-ever..."
2016 will find Timmy Thomas releasing a new album for Overtown Records/Saustex Media titled "Wings Of Change". His collaborators range from the late Steve Jobs to Timmy's old hitmaking crew at TK records and the new tunes will be recorded in the manner Soul Music deserves: Living and breathing on analog tape - so it may be released on vinyl. Timmy Thomas famously sang "People Are Changing" on his first LP. The people may have changed, but their love of his soulful groove remains the same.